Name brand physical therapy products for less! Tables are available in 9 sizes. 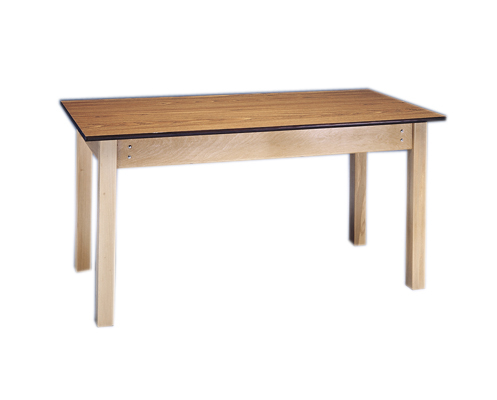 All with heavy duty laminated tops, hardwood legs and multi-layered birch aprons. 30" height is standard. The O.T. tables have a cutout apron to allow wheelchair access, and the work table does not have a cutout. 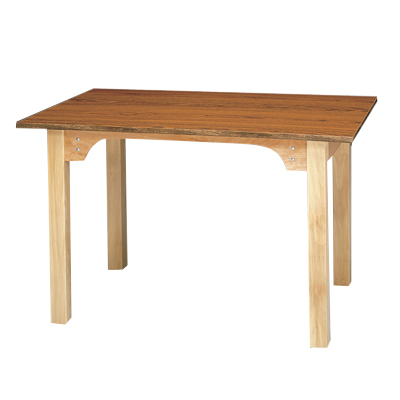 Table with heavy duty laminated tops, hardwood legs and multi-layered birch aprons. 30" height. The O.T. tables have a cutout apron to allow wheelchair access. Dimensions: 30" x 30" x 30"
Notice: Typically ships in 1 week. Dimensions: 30" x 30" x 48"
Notice: Typically ships in 2 weeks. Dimensions: 30" x 30" x 60"
Dimensions: 30" x 30" x 72"
Dimensions: 30" x 30" x 96"
Dimensions: 36" x 30" x 48"
Dimensions: 36" x 30" x 60"
Dimensions: 36" x 30" x 72"
Dimensions: 36" x 30" x 96"
Table with heavy duty laminated tops, hardwood legs and multi-layered birch aprons. 30" height. NOTICE This item can only be purchased by or on the order of a physician or other practitioner licensed to use or prescribe the device. Resellers must only sell to a buyer who meets these qualifications. By selecting Agree and purchasing this/these item(s), you agree that you either are licensed to use this/these products(s) or have been prescribed this/these product(s) by a licensed professional, or you will be reselling this item to a buyer who meets these qualifications. By selecting Disagree the item will not be added to your cart.